You love to watch Chase Elliott race every opportunity you can. Show off your appreciation for him when you get this Chase Elliott #9 2018 NAPA L/S 2-Spot T-shirt. It features crisp graphics on the front and back of this spectacular tee. 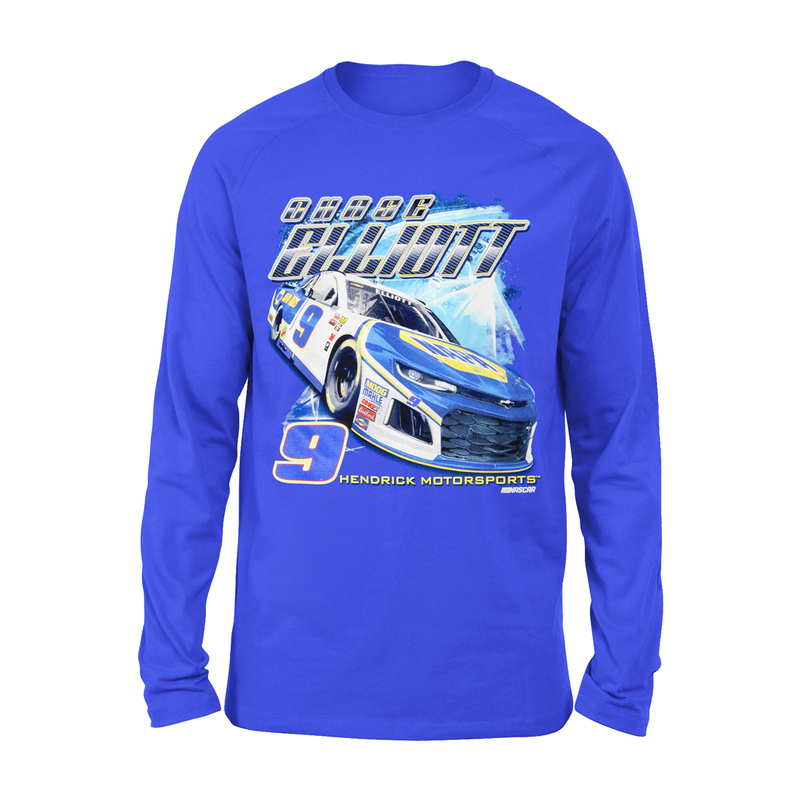 Whenever you put this Chase Elliott shirt on, you'll be showing off who you support on race day. Fair price ~ arrived promptly ~ like the graphics ~ washed up well ~sadly, still plenty of cool weather in Ohio. Hoping to purchase a sleeveless T soon.